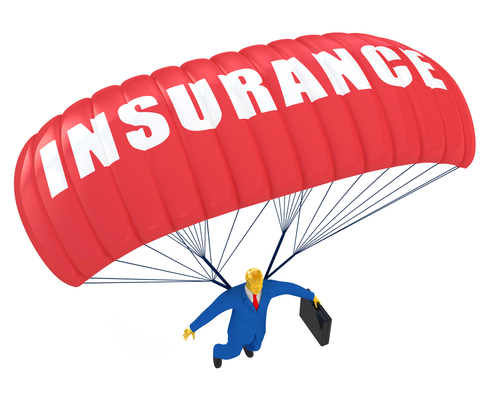 Insurance began as a way of reducing the risk to traders, as early as 2000 BC in China and 1750 BC in Babylon. An early form of life insurance dates to Ancient Rome; “burial clubs” covered the cost of members’ funeral expenses and assisted survivors financially. The first life table was written by Edmund Halley in 1693, but it was only in the 1750s that the necessary mathematical and statistical tools were in place for the development of modern life insurance. This is a really cool fact among us finance geeks, as most people only know Edmund for the famous “Halley’s Comet”. Did you know he was also a VENTURE CAPITALIST??? Life What? How does it work? So basically it works as follows (in plain English): A bunch of people pool their money together, and a pay-out is made from the very large pool of money if one of the members die. People who are more likely to die soon have to pay more than people who are less likely to die soon. Thus, a 75 year old guy would have to pay more for, let’s say R1 million cover than a 25 year old guy, assuming they are both equally healthy in terms of their medical history, simply because statistically, the older guy is more likely to pass away in the near future than the younger guy. Subsequently, a 25 year old male who is a diabetic and who has undergone heart-surgery is also more risky than a 25 year old guy who has had no out-of-the-ordinary medical conditions, and will thus have to pay a higher premium. So what happens if a young guy gets hit by a bus, how is that fair towards the old guy? Thing is, all people are more or less equally likely to get hit by a bus so you can’t exactly work this into the pricing model, and because insurance models have thousands of members, these extreme events tend not to have such a big impact, although it is still taken into account, but that’s a topic for another day. The importance for this article is the basics, being, you pay x amount every month and if you pass away someone else (who you choose) will receive a pay-out. So why would I need life insurance? In my opinion (now this is not the be-all and end-all, but it makes logical sense) is that you need life insurance for any combination of 3 reasons. A classic example would be John, a father of two children – both in primary school, and also a corporate lawyer. John is married to Lisa, who has a half-day job in order to spend more time with the kids. John would take out life insurance because their family is dependent on his income, and should he pass away, they would be able to invest the money from the life insurance in order to continue living at the same standard as before his death. Debt is unfortunately a reality for the majority of people in the twenty first century. If you pass away, the debt does not disappear, but forms part of your estate (the total of all your possessions which someone inherits) and your relatives may well end up having to pay your debt. As an example, consider Peter, who is married to Suzy. Peter has R1m debt on his home and R500 000 on his car. Peter has R1.5m life insurance cover, so that Suzy can pay off the debt if he should pass away. This is dependent on many factors, your gender (men pay more – yes we also think it’s unfair…), your age, your medical history, your education, your income, your occupation, your marital status – these being the common criteria, but will differ from company to company. You may end up paying R100 per month, for R1m life insurance, where your buddy who is the same age ends up paying R200 for the same amount of cover at a different company, or because he is just less risky to insure. Any advice or tips I should know? *This article serves to provide information only, and does not constitute proper financial advice as it is not tailored to any individual.